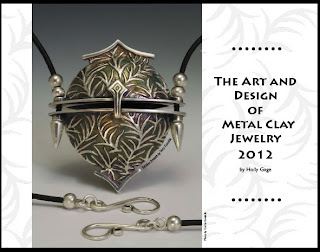 I am very happy to be part of The Art and Design of Metal Clay 2012 Calendar by Holly Gage. 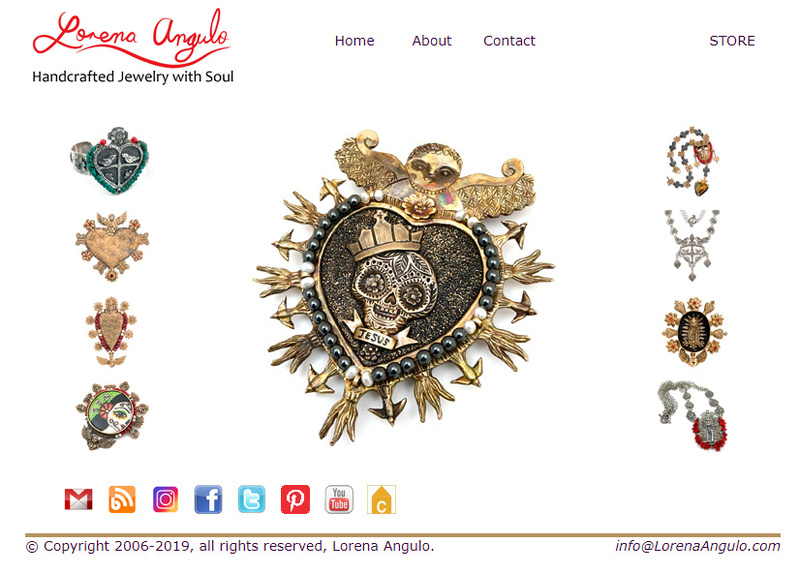 This is the third time I am selected to be in the calendar and I am very honored to be next to wonderful artists of metal clay jewelry. The calendar is scheduled to be release at the end of October 2011. Holly Gage and three experienced metal clay artists served as jurors. Emma Baird, Tracey Spurgin and Lesley Messam had the difficult task to select from more than 300 images the pieces that will be selected for this year's calendar. 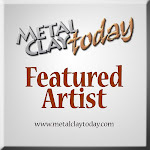 The 28 page collectors calendar features jewelry pieces created with silver, copper, bronze, rose gold and steel from today's more up and coming Metal Clay Artists around the world. The diversity of all the pieces is incredible, every page will be a great inspiration. 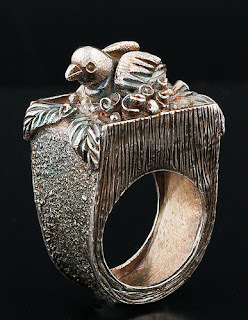 My piece selected for this year's calendar is my "Bird's Nest" ring. Congrats Lorena!! It's a beautiful piece! wow this metal art looks amazing and congrats for being selected again as well. Keep producing great pieces of art.